Super Street: The Game is heading towards PlayStation 4, Xbox One and Steam (PC) on September 11th! We believe that as many gamers and car enthusiast possible, should be able to enjoy the game. Therefore it will be available digitally in most major areas around the world. Super Street: The Game will be a homage to the days of the classic arcade racers! We want to bring this great genre back and transform it into a new action-packed street racer. Super Street: The Game is all about fast-paced fun, thrilling speeds and intense automotive destruction. We know how important licensed cars are for car enthusiasts, therefore this was one of the hardest decisions we had to make. At one side they add authenticity, on the other they bring enormous limitations to the game, especially for the direction we wanted it to go. After several talks with our partners at Motor Trend Group we decided not to go with licensed cars, but for good reasons. First, Super Street is about tuning and customizing your ride. We wanted to make sure the player isn’t limited in any way. You want to be able to put together your own extreme bodykit and swap your engine. Second, we felt that true car destruction was a vital part of the game experience. 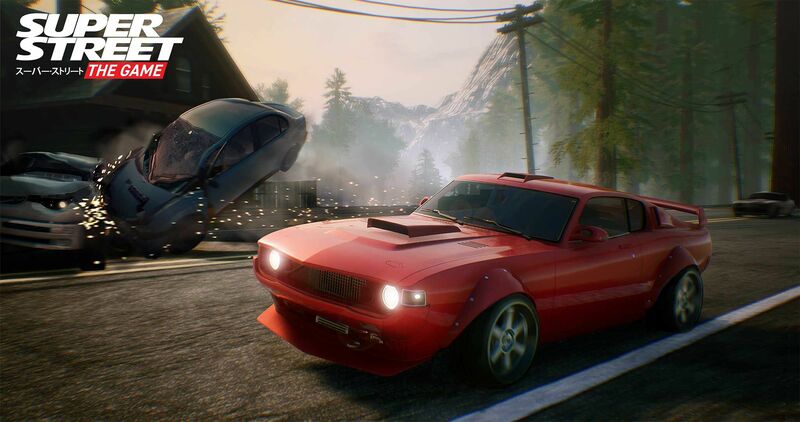 We want you to be able to absolutely wreck your car and create spectacular crashes. These are things that the official car brands don’t like. So in the end, although we wanted to, we had no other choice. Instead, we partnered with over 70 of the biggest aftermarket brands and recreated hundreds of licensed car parts to add authenticity and make sure you can create your own ultimate ride. Also don’t worry, our vehicles are inspired by tuner classics. 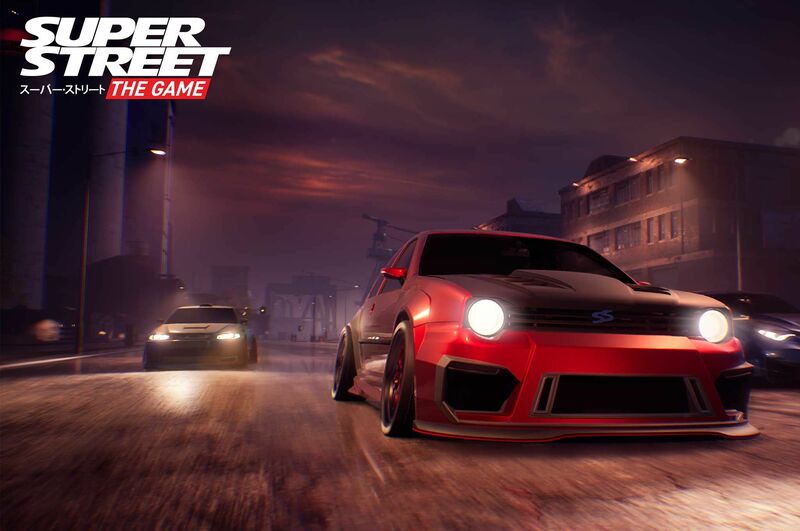 Super Street: The Game is all about personalizing and customizing your ride! Use over 500 car parts from the biggest aftermarket brands to customize your exterior, interior or performance. You can – for example – not only change your rims, brake discs and tires, but also your seats, sound systems and even swap your engine! Want to push your ride even further? Adjust the camber or change the size of your rims. With Super Street: The Game we wanted to go back to the days of the old-school classic arcade racers. That’s why we wanted to make crashes fun and spectacular! Don’t expect to get away with just a scratch, when you smash your ride into a wall or into your opponent. No, be prepared to fully deform your bodykit, get scratched up and even see your wheels flying off when you smash up your vehicle! At the start of Super Street: The Game, you’ll choose one out of eight entirely different rides, varying from JDM to European style. This will be your project car, so pick wisely. It’s up to you to transform this piece of junk into your ultimate street racer! But don’t worry, this isn’t the only car you’ll get your hands on. As you progress, you’ll get the opportunity to drive around in several other unique sponsored supercars as well. A lot of you have been asking where they can pre-order Super Street: The Game. We love your enthusiasm and we definitely want to make sure you’ll be able to immediately play the game right from the start on the day of release. At this moment you can’t pre-order just yet. As soon when this is possible, we’ll of course let you know! You have all been asking for gameplay and we’ve heard you! We’re working on several videos and will definitely show you a lot more of the gameplay. Please bear with us for now: it’s coming! Super Street: The Game features a full single player campaign! Play through dozens of missions divided over 12 events on your road to become a true street racer! Earn cash to buy the parts you want and earn reputation to progress through the story. Gaming is always more fun if you do it together! That’s why multiplayer is one of our big priorities. You’ll be able to play Super Street: The Game online with people worldwide with up to six people. Rather play with a friend at home? We love split-screen and therefore decided to bring back couch co-op! You’ll be able to play together with a friend on all platforms. 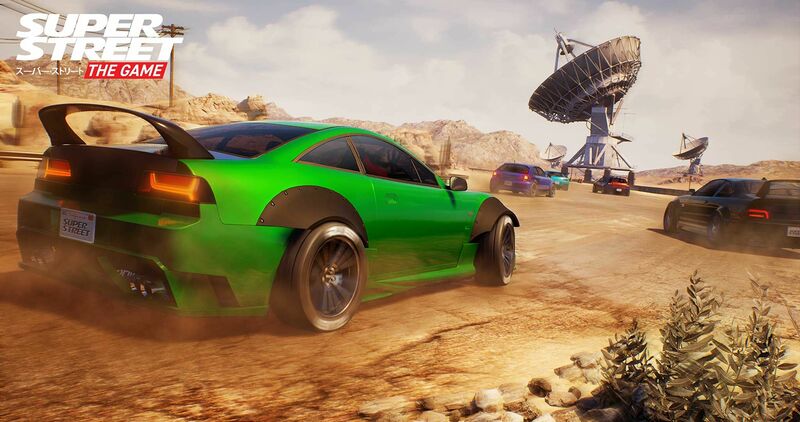 All cars unlocked in the single player campaign can be used in the multiplayer! We know how much racing fans love to be able to use a steering wheel to enhance their gaming experience. Therefore we decided to support several wheels! A full list of compatible steering wheels will be shared, before the release of the game. Do you miss the answer to one of your questions? Or do you have anymore questions you’re burning to ask, make sure to contact us using any of the channels below!